— this could apply equally to Anglicans who wish to exercise what some are now calling “the Benedict Option” on a family level. * includes the Athanasian Creed, a more detailed explication of the Trinitarian and Christological doctrines of the Christian faith. It is, of course, neither my place nor my intention to tell (or even suggest to) anyone in another country what they should do. But despite my desire to keep this blog mostly free from controverted political issues, I have to ask: is this what the people of Britain want? For the Royal Army, Royal Navy, and Royal Air Force to become merely arms of an EU military, responsible not to the Queen or Parliament, but to an un-elected, unaccountable, non-British bureaucracy based in Brussels, but operated, for all intents and purposes, by Germany? “Rule Britannia! Britannia, rule the waves! For Britons never never never shall be slaves”…? I have considerable German heritage myself, and I am completely at a loss to understand what’s going through the minds of the German government at this point in history. But whatever it is, does Britain want to be part of it? I sincerely hope not! I do not mean to tell my British friends what to do, and I am not telling them what to do. 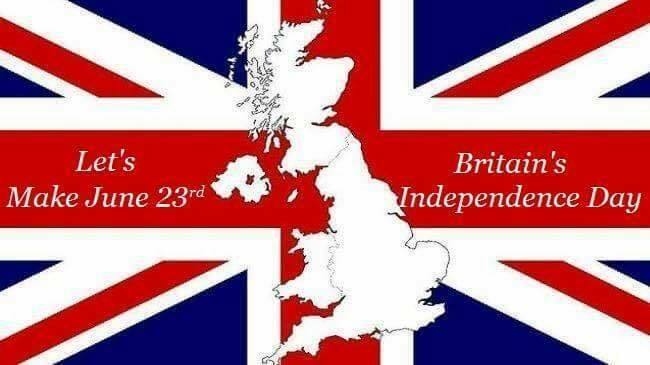 But I am hoping, praying, and yes, pleading: let June 23rd be Britain’s Independence Day! Shake off the shackles of the EU before it’s too late. A man can dream, can’t he…? Author The Anglophilic AnglicanPosted on May 28, 2016 March 11, 2017 Categories UncategorizedTags British Monarchy, Commonwealth, HM The Queen, United StatesLeave a comment on A man can dream, can’t he…? 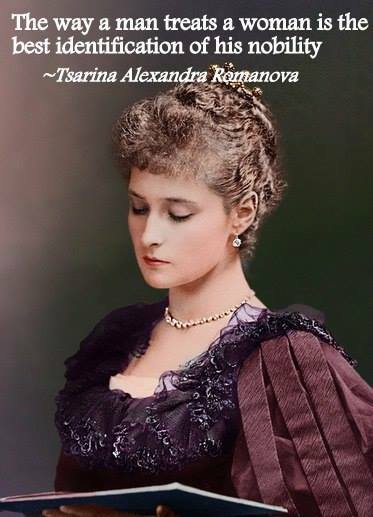 Tsarina Alexandra Feodorovna offers profound words of wisdom on the twin subjects of Christian marriage and family life. Her reflections and counsel are all the more necessary in these times, for they call all Christian husbands and wives, mothers and fathers to embrace the true vocations of matrimony, marked by a shared life of selflessness and loving sacrifice. True enough, this is Russian and Orthodox in focus, not British or Anglican! But that does not mean the wisdom and guidance provided by the last Tsarina is not just as worth heeding by good Christian folk of other churches, communions, and jurisdictions. Besides, Anglicans have traditionally had very good relations with Orthodox Christians, since both look to the Fathers and Doctors of the ancient and undivided Church of the first millennium. And Christian marriage is under threat from many directions, in today’s highly secular culture: it does not hurt us at all to recall — and hopefully, model our own relationships after — the traditional, ideal form of holy matrimony, expressed so clearly and beautifully by Empress Alexandra, and described by my friend Ryan Hunter. “Tolkien referred to himself in his letters as an anarchist of the non-violent variety. Almost certainly, Tolkien’s anarchism is neither [modern anarcho-capitalism nor anarcho-socialism]. Given his writings on the Shire, in particular, Tolkien almost certainly meant this in the sense that he was a Catholic and, therefore, that he believed in subsidiarity – that is the principle that power should reside at the most immediate level possible. One of the things which struck me with great force as I toured England and Scotland in 1985, and Ireland, England, and Wales in 1990, was the tremendous antiquity in which the very land was steeped. It was awe-inspiring enough to touch Roman brick (! ), for person born and raised in a country that things 300 years is “old,” but the heritage of the British Isles goes so much further back than that… I was particularly taken by the barrow-mounds, to which I had been first introduced in fictional form through the works of J.R.R. Tolkien. To actually be face-to-face with true barrows, in all their reality (though without, so far as I know, barrow-wights), was a remarkable experience. But familiarity breeds contempt, they say; and it was with great sadness that I learned, later in life, that not all in Britain share this American-of-British-ancestry’s passion, respect, and even reverence for a past which reaches back thousands of years, yet retains a strange and mystic continuity with the present. Just as Americans seem to think nothing turning areas of great natural beauty into strip malls or housing developments, it seems that there are interests in Britain that think nothing of driving roads through, or building car-parks on top of, ancient structures that have stood for millennia… including the tombs of prehistoric kings and chieftains.